Basically I define a low pass filter transfer function using: sys = signal.lti([ 1 ], [1/wc, 1]). So Vout is the filtered response of Vin. 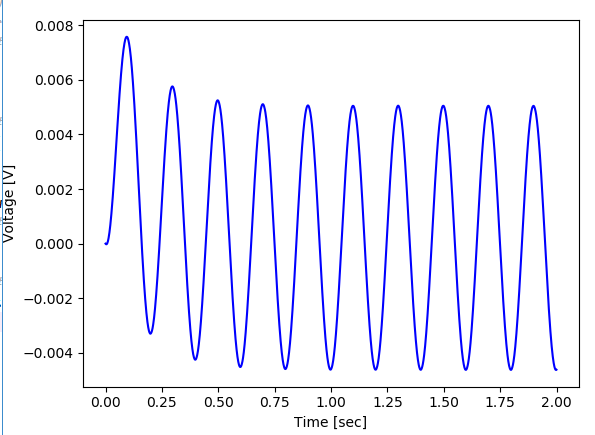 If you compare the Vin and Vout in above plots, Vout looks like it is processed like in Laplace domain, that is to say Vout looks like it is both the transient and steady state response of Vin. 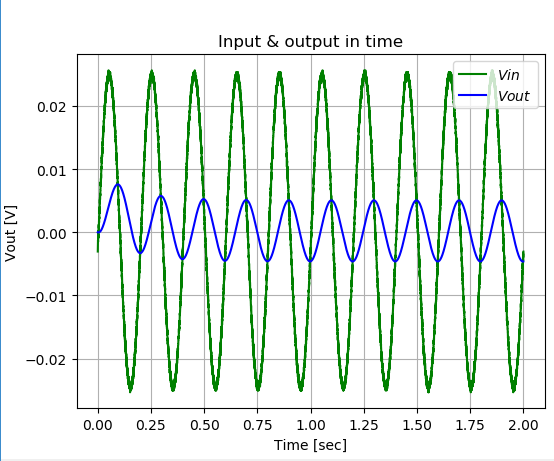 Having the sampled data like in green plot Vin, how can we obtain a steady sate response of such filter? Or at least close to steady state. Browse other questions tagged filters sampling linear-systems or ask your own question. What is the low-pass filter that gives minimal transient response?